Home / Politics / 2019: APC begs Buhari not to attend presidential debate. 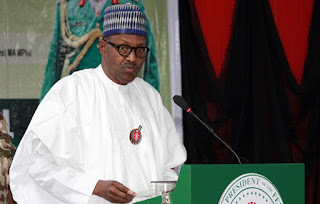 The All Progressives Congress, APC, in the United Kingdom has urged President Muhammadu Buhari not to attend the debate organised for candidates vying for the highest office in the land in 2019. The party made the appeal yesterday in a post by its leader, Ade Omole, on the party’s verified Twitter handle. However, the APC UK branch said the President should consider a townhall session with the people rather than a debate in view of the outcome of last night’s debate among vice-presidential candidates. The tweet reads: “Dear President Muhammadu Buhari, we appeal to you NOT to attend the presidential debate in view of the lecturing witnessed tonight (Friday).